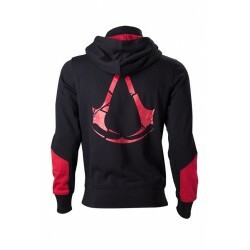 For all lovers of "Assassin's Creed" universe. The hoodie is made of cotton and poly-fleece materials. Black with read hoodie with zipper and red sign of Assassin's Creed on a back. 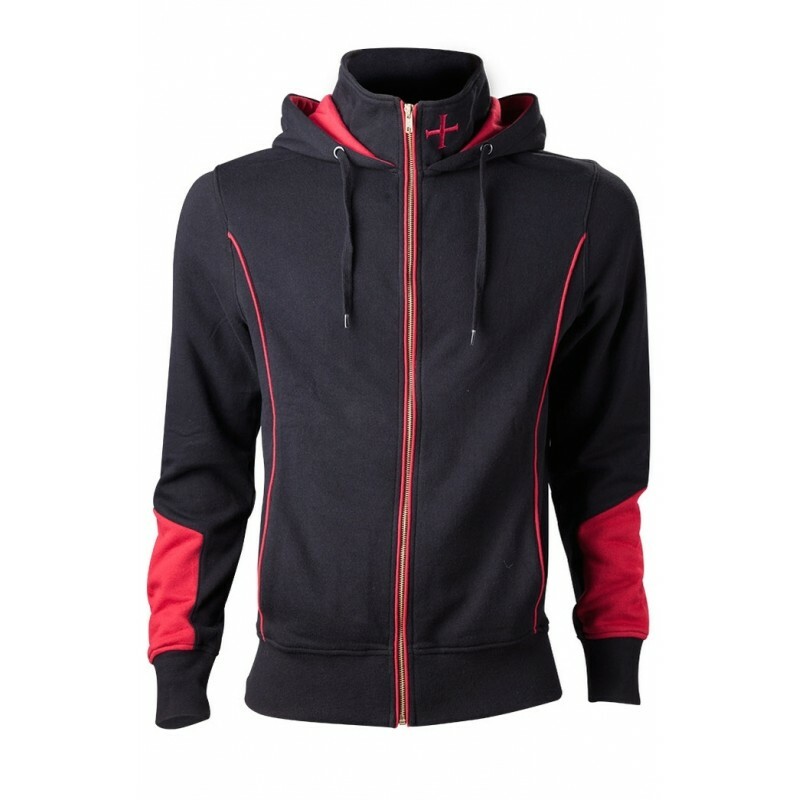 The Hoodie is made of footer, amazingly soft and natural cotton material. Initially, the cotton has been made as an alternative of wool, but more breathing and less moisture absorbing. It has a unique feature - it keeps the warmth despite being wet. Such sweatshirt will serve long time and over time will not change it's shape, will not change and there will be no attrition. The Hoodie made from a footer will sustain loadings during physical exercises, besides, even the most heavy motions will not cause breaks and folds on your favorite sport clothes. If you appreciate convenience and a practicality and you want the thing served as long as possible, your choice is a sweatshirt made from a footer. Each sweatshirt is being made individually according to your size. Please see the sizetable with measurements on the last picture.